What's Southern California got against trucks? In addition to all those desert community complaints about the drivers of 18-wheelers parking their rigs on their own property, a similar situation has put some pickup truck owners on the defensive in the city of Long Beach. A story in Friday's Long Beach Press-Telegram highlights a growing debate about a city law that prohibits the parking of commercial trucks weighing three tons or more on residential streets, or any non-truck route. 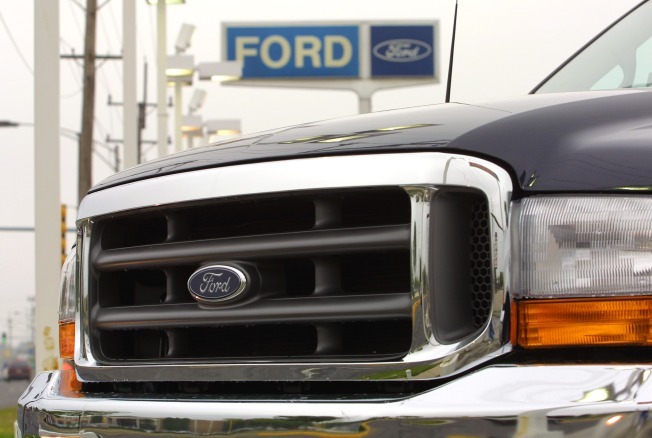 Sounds simple enough until you get to the part about how this law doesn't just affect big rigs, but such popular pickups as Ford F-250s outfitted for construction-related trades. As a result of the wording of Municipal Code 10.40.010 Section D, otherwise law-abiding electricians, carpenters and others have been receiving $102 citations for doing nothing more than having chosen a trade too big to fit in their tight, WWII-era driveways. And, just like the desert dust-up over big rigs, the pickup dispute in Long Beach is being fueled by complaints from residents -- many in the city's 5th District -- who, for one reason or another, don't like the sight of pickups at curbside. Most any other passenger vehicle can legally park in the areas in which the large commercial pickups are being cited. Soccer moms who drive Land Rovers are surely fine. Attorneys in Hummers, you're probably OK too. Trophy moms in Yukons? I can't imagine why not. But a plumber in a big pickup ... buddy, you better move along before the SWAT team arrives. Considering the abundance of this kind of whine, maybe someone ought to consider taxing it, instead of the other kind of wine. The cops say they're required to uphold laws, especially in response to complaints, so unless an amendment to the rule is made, the ticketing is certain to continue. A Long Beach City Council committee decided Thursday that the matter warrants further discussion next month [see committee agendas at this link].